The Economic and Financial Crimes Commission (EFCC) yesterday interrogated a former Minister of Aviation Osita Chidoka over an alleged N3.9billion fraud in connection with the procurement and Installation of sensitive security cameras/infrastructure in five International Airports in Nigeria. The contract was awarded to Bri and Bru Limited. 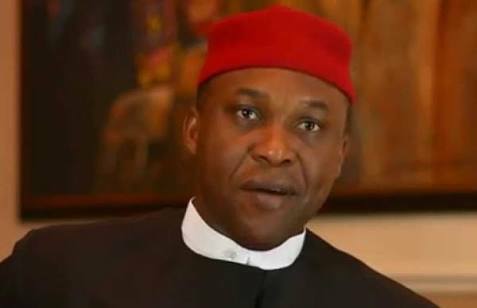 Before Chidoka was invited, the EFCC had quizzed the Managing Director of Bri and Bru Limited, the managers of the five international airports, the managing director of the Federal Airports Authority Nigeria( FAAN) and some offiicials of the ministry of aviation. A top source told The Nation that, the ex-minister arrived at the 15 A Awolowo Road, Ikoyi Lagos office of the EFCC at about 12.30pm. As at 6.30pm, EFCC detectives were still grilling the ex-Minister, who is a former Corps Marshal of the Federal Road Safety Commission (FRSC). “From the account of the company various payments were made to the former minister and some of his family members, director of Consumer Investment Limited and his younger brother, Obinna Chidoka, who is a member of the House of Representatives.